Strict New Sexual Harassment Laws in Place in New York! Francine Foner, Esq., Ty Hyderally, Esq. Recent decisions have upheld the enforceability of arbitration agreements which require that employees forego their right to a jury trial and instead arbitrate employment disputes. However, two recent rulings regarding the enforceability of arbitration agreements and their provisions are favorable to employees. In Roman v. Bergen Logistics, LLC, 2018 N.J. Super. LEXIS 133, the Appellate Division held that an arbitration agreement’s bar of punitive damages claims under the New Jersey Law Against Discrimination (“LAD”), N.J.S.A. §§ 10:5-1 to 10:5-49, was “unenforceable because it violates the public policy embodied in the LAD.” Id. at *9-10. In Roman, the plaintiff worked for Bergen Logistics, LLC in human resources. Ms. Roman alleged that her supervisor had sexually harassed her, created a sexually hostile work environment during her employment, and that she was then terminated in retaliation for her complaining about her supervisor’s conduct and sexual advances. The plaintiff asserted violations of the LAD and intentional infliction of emotional distress in a complaint filed against her former employer and supervisor in New Jersey Superior Court alleging the same. Id. at *2. The Defendants moved to dismiss the complaint based upon an arbitration agreement which the plaintiff had signed covering a wide variety of employment disputes, including the type of claims that the plaintiff had alleged in her complaint. The plaintiff opposed the motion upon the grounds that the arbitration agreement was unenforceable because, among other reasons, it barred recovery of punitive damages which are expressly available under the LAD. However, the Trial Court dismissed the plaintiff’s complaint and ordered the parties to go to arbitration. On appeal, the Appellate Division upheld the arbitration agreement’s applicability to the dispute, but found that the plaintiff could pursue her punitive damages claim in arbitration. In upholding the plaintiff’s right to pursue punitive damages in arbitration, the Appellate Division cited with approval the New Jersey Supreme Court’s observation that “although an individual may agree by contract to submit his or her LAD claims to arbitration, ‘in permitting the submission of an LAD claim to an alternative forum by operation of contract, the contract is examined to determine whether substantive rights have been precluded.’” Id. at 364. Rodriguez v. Raymours Furniture Co., Inc. 225 N.J. 343, 362 (2016). Thus, since a provision of the arbitration agreement in Roman sought to defeat a right provided by the LAD, i.e., punitive damages, that provision was not enforceable. However, arbitration was nonetheless compelled in accordance with the remainder of the terms contained in the arbitration agreement. While the Roman Court declined to strike an entire arbitration agreement as unenforceable based upon one of its provisions being void as against public policy, on October 17, 2018, the Appellate Division in Flanzman v. Jenny Craig, Inc., 2018 N.J. Super. LEXIS 142, 2018 WL 5019942 found that an arbitration agreement which omits a necessary provision was entirely unenforceable. In Flanzman, the plaintiff sued her former employer Jenny Craig for age discrimination under the LAD. Reversing the Trial Court, the Appellate Division held that an arbitration agreement in which the parties failed to identify any arbitration forum and any process for conducting the arbitration, such as JAMS or AAA rules and forums, lacked the “mutual assent” or “meeting of the minds” which must exist for an arbitration agreement to be enforceable, just like any other contract. Id. at *6-7. 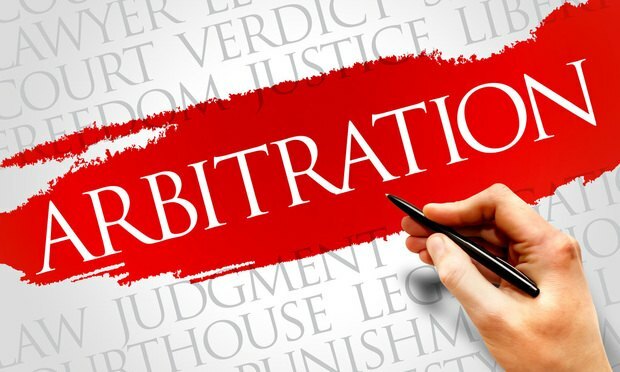 While the Flanzman ruling is favorable to employees and offers another weapon in the arsenal to combat mandatory arbitration, it is unlikely to result in an avalanche of cases striking down arbitration agreements in employment cases for failure to identify an arbitral forum or process for conducting arbitration. Although some employees may benefit from the ruling, most arbitration agreements drafted by employers in recent years do contain such provisions, and it is likely that employers will review their agreements and make any necessary revisions in accordance with this opinion to ensure that they are enforceable. This blog is for informational purposes only. It does not constitute legal advice, and may not reasonably be relied upon as such. If you face a legal issue, you should consult a qualified attorney for independent legal advice with regard to your particular set of facts. This blog may constitute attorney advertising. This blog is not intended to communicate with anyone in a state or other jurisdiction where such a blog may fail to comply with all laws and ethical rules of that state of jurisdiction. NJ Volunteer Firefighters Eligible for Workers’ Compensation Disability Benefits Regardless of Employment!